MSP Home Tour was a wonderful experience! We had a wonderful time showing the fantastic remodel at 1391 Edgcumbe Road (Home #33) last weekend! 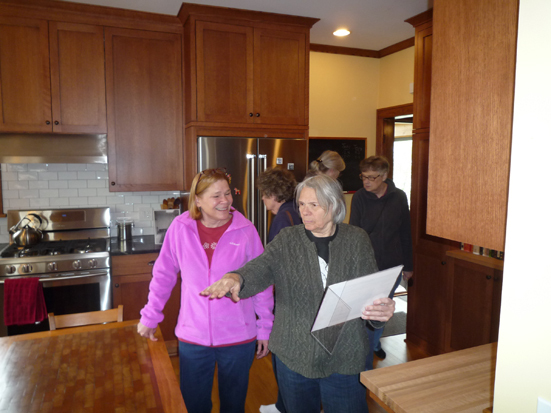 McMonigal Architects was pleased to take part in the 31st annual Minneapolis Saint Paul Home Tour. 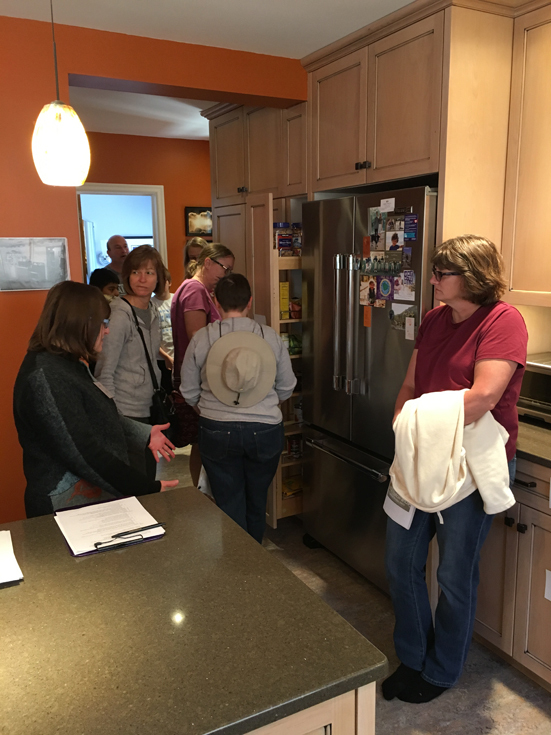 During Saturday and Sunday’s tour, visitors were able to hear how a dated and dysfunctional kitchen was transformed into a kitchen that is a joy to cook in while allowing it to feel like it has always been there. Visitors commented on how dramatic the changes were from the before photos. Clever solutions, and hidden storage and pullouts offered pleasant surprises. The stars of the show were the cats as they served as a great welcoming committee, and were unphased by all the new people. Another Great Minneapolis Saint Paul Home Tour! What a great time we had showing off two beautiful projects this past weekend! 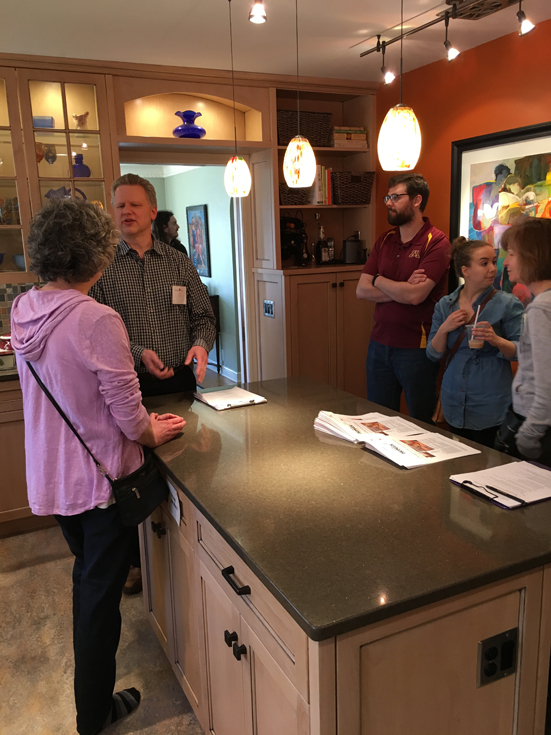 McMonigal Architects was pleased to take part in the Minneapolis Saint Paul Home Tour which celebrated its 30th anniversary. 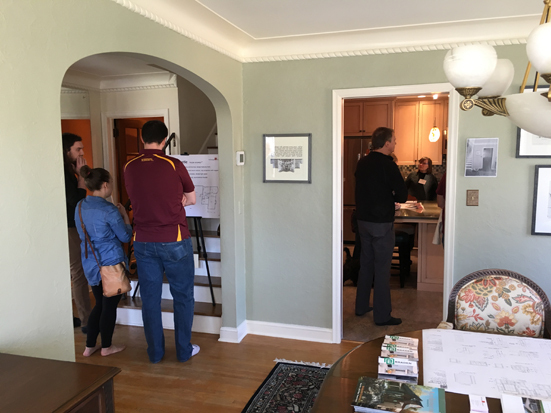 During Saturday and Sunday’s tour at 5344 Emerson Avenue South (Home #10), visitors were able to hear how moving and turning an existing stair avoided a potentially costly large addition to the home, and see how a kitchen with a clean, modern aesthetic can fit within a 1927 Tudor. They heard how phasing two projects over ten years made it possible to improve the layout and function of the home initially, and get their dream kitchen in the end. At 4516 Grand Avenue South (Home #8), tour-goers marveled at how a small addition resulted in doubling the size of the cramped bungalow kitchen. The kitchen now ties in perfectly and the fine craftsmanship of both new and old is now evident throughout the home. 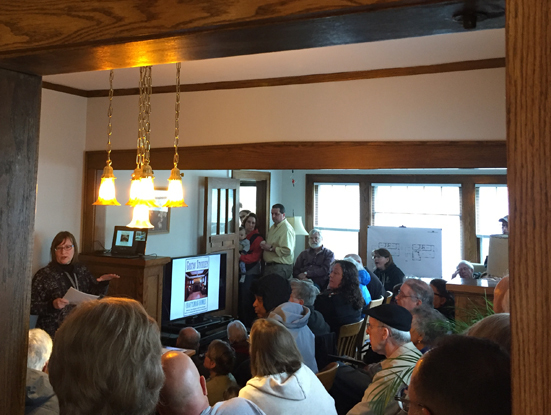 On Sunday, Rosemary’s presentation on bungalow remodeling drew quite the crowd – over 50 people inside and anxious others listening from the front steps and the back porch. At both houses, it was fun to display presentation boards from and reminisce on Rosemary and Jim’s Johnson Street home that was on the tour 30 years ago.